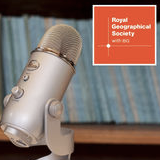 The Royal Geographical Society has launched a planned new series of PODCASTS for geographers. The podcasts, which will be released twice a month, cover topics relevant to the GCSE and A Level geography curricula, and feature original research from higher education institutions. Topics previously covered by the series include extreme weather in the UK, food security and gentrification in global cities. These are already available to download for free. Future podcasts will feature mapping populations and displacement, and super-diversity and ordinary streets.